Emerald Bay provided the setting for one of the first summer homes at Lake Tahoe. Ben Holiday, stagecoach magnate and early-day transportation king, constructed a home there in the late 1860s. His land was eventually sold to Paul Kirby in 1880. The Kirbys built a number of cabins, intended for resort use, on the parcel of land where Vikingsholm now stands. The William Henry Armstrong family acquired the property in 1892 and they used the cabins as their summer residence for over 32 years. 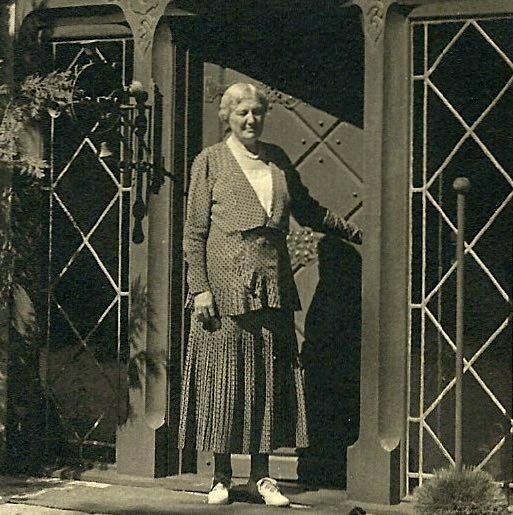 In 1928, Mrs. Lora Josephine Knight bought the Armstrong’s land with the desire to build a summer home that would compliment the magnificent natural surroundings. Emerald Bay reminded her of fjords she had seen on numerous travels to Scandinavia. She commissioned her nephew by marriage, Lennart Palme, a Swedish architect, to design the home. Vikingsholm was completed in the fall of 1929. The exceptional summer home was enjoyed by Mrs. Knight and her guests, for 15 gratifying summers, until Mrs. Knight’s death at the age of 82 in 1945. The estate was sold to Lawrence Holland, a rancher from Nevada. He subsequently sold it to Harvey West, a lumberman from Placerville, California. In the early 1950s, Mr. West, a noted philanthropist, negotiated with the State of California and said he would donate one-half of the appraised value of the land and the Vikingsholm outright, if the State would pay him the other half of the land value. These terms were agreed upon, and in 1953 the house and property were acquired the the state. Vikingsholm is considered one of the finest examples of Scandinavian architecture in the United States. 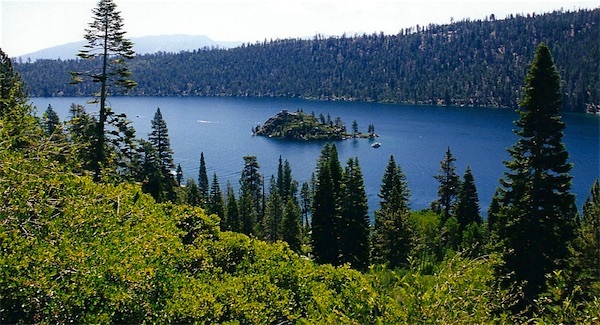 It is now a part of the Harvey West Unit of the Emerald Bay State Park. The house is open for tours during the summer months and the magnificent scenery may be enjoyed all year around by those wishing to visit this beautiful setting. Many people assume that Mrs. Knight was of Scandinavian origin because of her decision to build Vikingsholm but she was actually of English decent. She was born Lora Josephine Small in Galena, Illinois, in 1864 - one of a family of four daughters and one son. Her father Edward A. Small, was a corporate lawyer who accepted two brothers, James and William Moore, into his law firm. These young men eventually grained controlling interests in a number of large companies, including National Biscuit, Continental Can, Diamond Match, Union Pacific, and Rock Island Railroad. In the 1880s Lora married James and her sister, Ada, married William. Lora and James Moore had one son, Nathaniel, who married Helen Fargo of the family of Wells Fargo fame. During most of the Moore’s married life, James and Lora lived in Chicago, Illinois and Lake Geneva, Wisconsin. 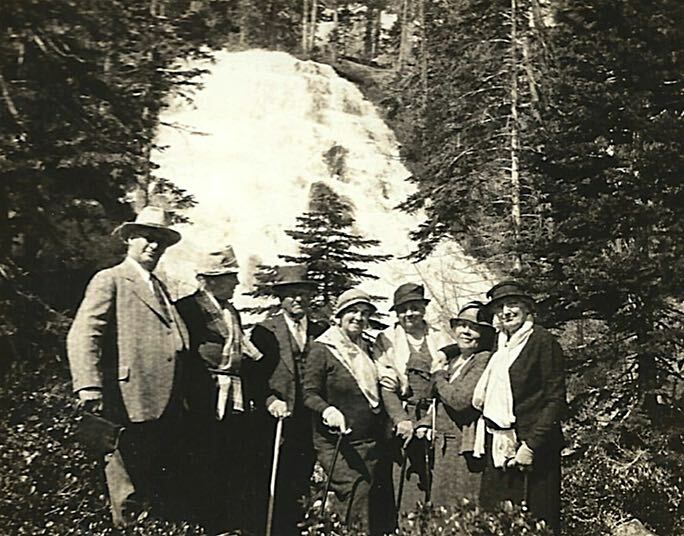 They also traveled extensively, making many trips to California as well as abroad. 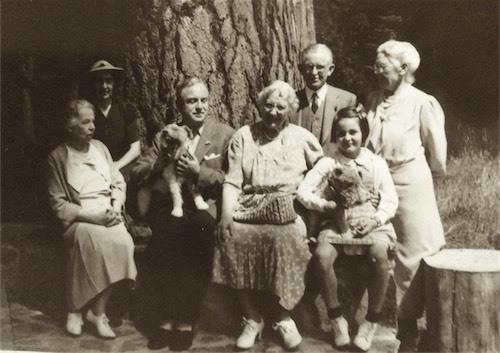 In 1915, they purchased a home in Santa Barbara, but had little time to enjoy it together since Mr. Moore died in 1916. In the early 1920s, Lora Small Moore married Harry French Knight, a stockbroker from St. Louis. This marriage was not successful and they were divorced prior to the building of Vikingsholm. Mrs. Knight is probably known best for the building of Vikingsholm, but many still remember her because of her generous contributions to youth groups in California and Nevada and the provision of educational opportunities for young people who otherwise could not have afforded them. She also was a major benefactor to the Christian Science churches in Santa Barbara, Reno, and South Lake Tahoe. She and Mr. Knight actively promoted Charles Lindbergh’s flight across the Atlantic and were the prime financial backers of that flight. 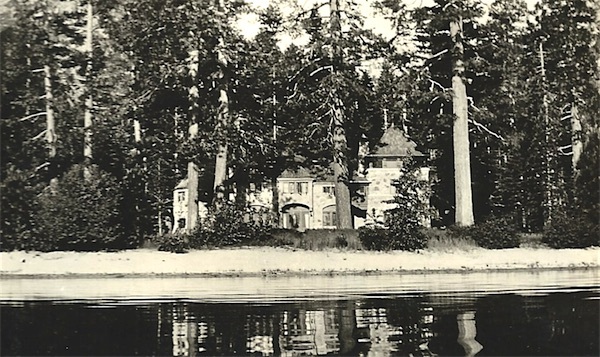 When Mrs. Knight purchased the land at Emerald Bay, where Vikingsholm would be located, she was not a newcomer to the Tahoe area. For 16 years she had enjoyed her summer home Wychwood, at Observatory Point, on the North Shore. This property was later sold to Robert Stanley Dollar Sr. and is now known as Dollar Point. Through church affiliations Mrs. Knight had become acquainted with the William Henry Armstrong family, who owned 239 acres at the head of Emerald Bay. In 1928, she purchased the property from them for $250,000. 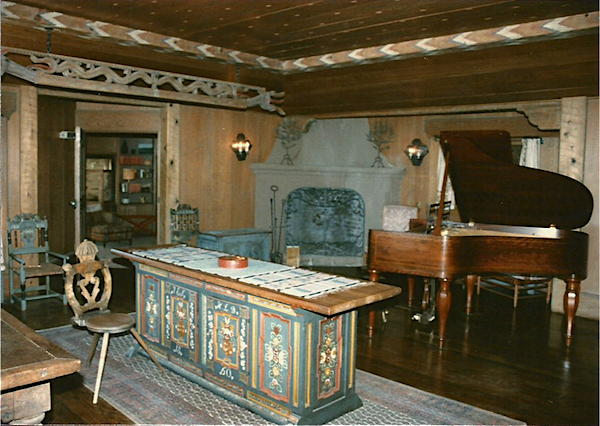 Mrs. Knight commissioned Lennart Palme, a Swedish architect and her nephew by marriage, to design Vikingsholm. She had been impressed by the Nordic architecture of the home that Palme had designed for himself in Rye, New York. 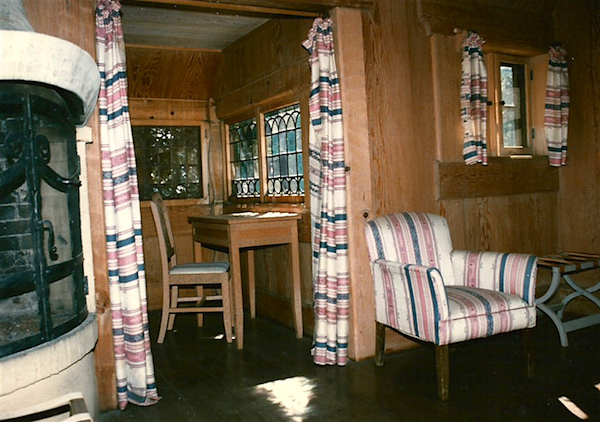 Because of her admiration of Palme’s home and the fjord-like location of Emerald Bay, she decided to have her summer home built in a Scandinavian design. 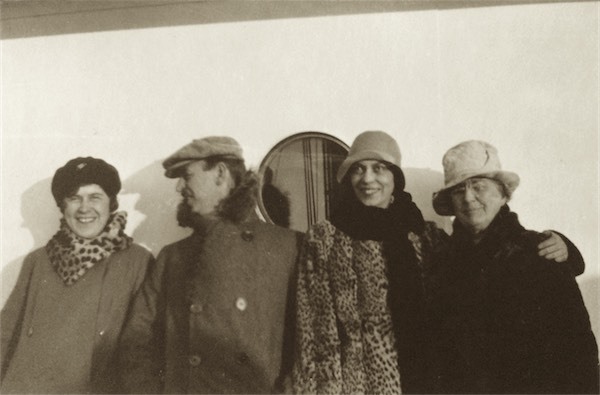 Mrs. Knight and the Palmes traveled to Scandinavia in the summer of 1928 to gather ideas for the construction of the house at Emerald Bay. They visited Norway, Sweden, Denmark, and Finland. They were inspired by viewing many ancient building such as wooden churches and homes in Norway and stone castles in Sweden. 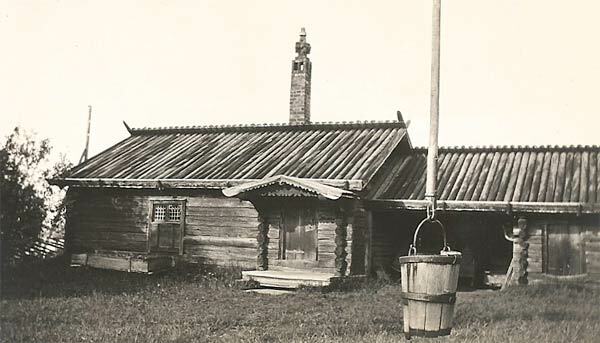 Photographs taken on that trip show how faithfully Mr. Palme reproduced specific features of these Scandinavian buildings in the design of Vikingsholm. 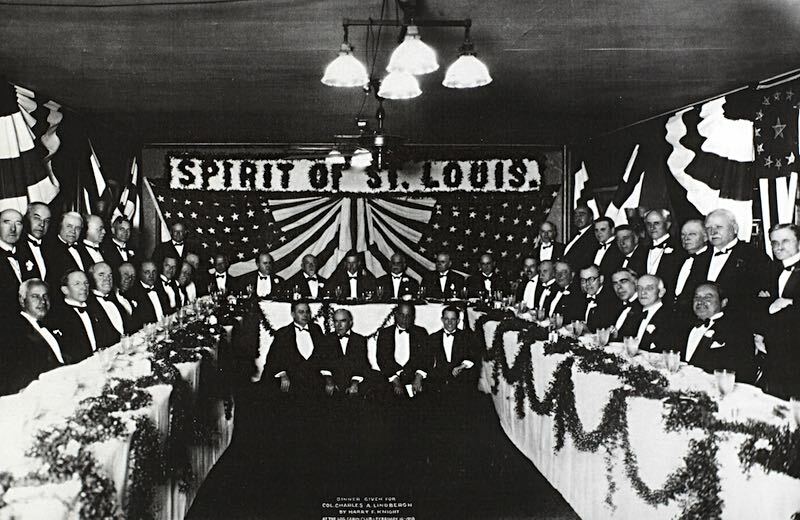 The foundation was laid in the summer of 1928. 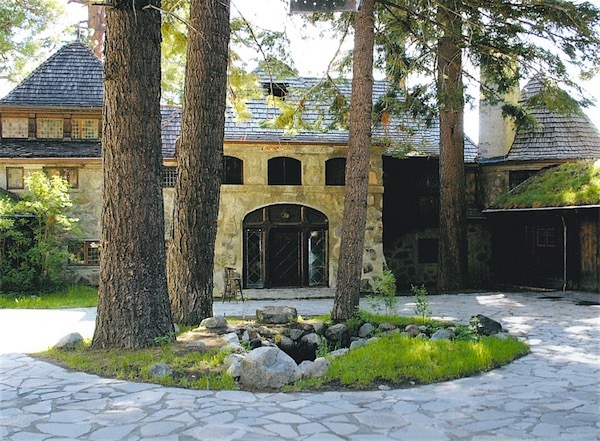 In the spring of 1929, more than 200 highly-skilled workmen were brought to Emerald Bay and housed in temporary barracks on the property. They worked diligently throughout the summer and by the end of the season the house was completed. 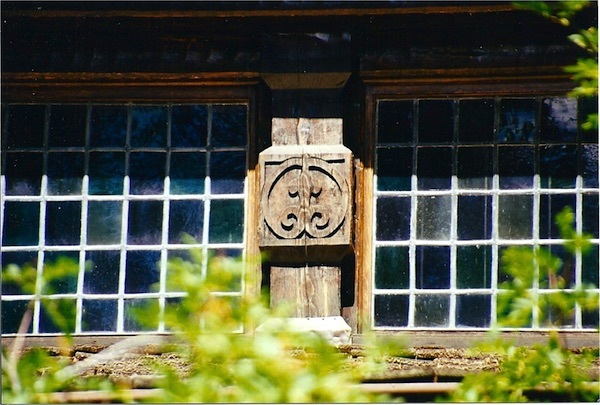 During these months of 1929, the timbers were hand hewn, the exterior wall boards were planed, intricate wood carvings were executed, and metal fixtures, such as fireplace screens, hinges and latches, were hand forged. Outstanding features of the Vikingsholm exterior include: granite boulders embedded in mortar, typical of Swedish stone churches and castles built in the 11th century, massive hand hewn timbers, characteristic of those used by the early Norsemen, carvings around the doors adapted from those bordering old church entrances; carvings extending along roof ridges with dragon heads crossing at roof peaks, and a sod roof with wildflowers. 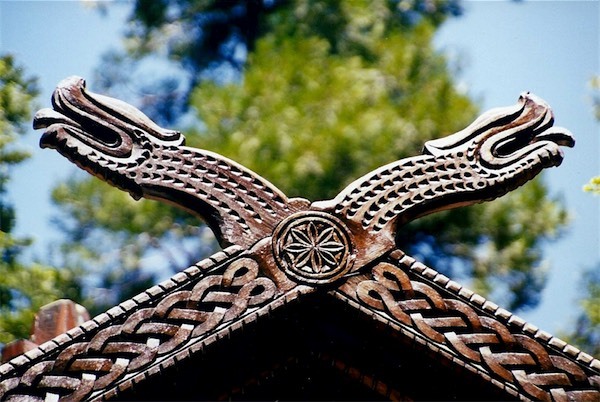 The interior of the house also exemplifies the Scandinavian motif, with delicate paintings on the ceilings and walls, Nordic fireplaces throughout, and two intricately carved dragon beams hanging from the ceiling in the living room. Furnishings were carefully chosen by Mrs. Knight to enhance and carry out the Scandinavian theme. “Selma” the clock, one of the most striking pieces, stands in the hallway. Many antiques were purchased abroad for the home. Mrs. Knight greatly admired some pieces seen in Norwegian and Swedish museums, which were not available for purchase. When she encountered such situations she hired craftsmen to make copies of the museum pieces. They were reproduced in exact detail, including aging of the wood and duplication of scratches found on the originals. The brightly painted bridal table, which stands in the living room, represents the quality of these outstanding reproductions. 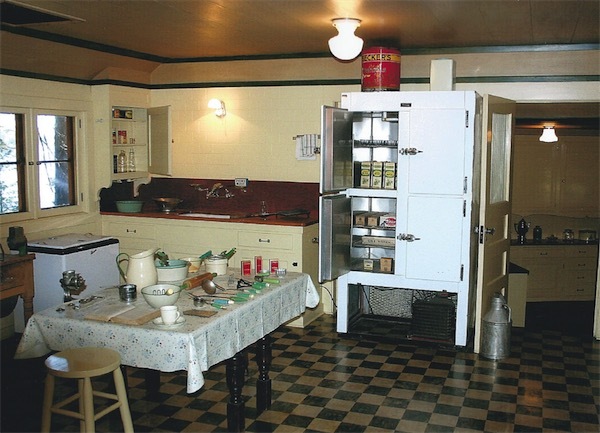 Fortunately many of Mrs. Knight’s original furnishings remain in the home today. Vikingsholm is noted for its outstanding architecture and scenic location. It also represents an era from the past of lavish but gracious living. A relaxed, unhurried atmosphere typified the style of life one experienced when visiting the home. Mrs. Knight would arrive for the summer in the middle of June and stay until the middle of September. She usually had a staff at Vikingsholm of approximately 15. A caretaker and his family lived on the property year around and four or five yardmen were hired locally each season to care for the grounds. The rest of the staff was brought from Mrs. Knight’s winter home in Santa Barbara and consisted of her private secretary, personal maid, cook, assistant cook, upstairs and downstairs maids, chauffeur, assistant chauffeur and laundry women. Mrs. Knight enjoyed entertaining and invited many friends and family members to visit during the summer months. Visitors varied in age from young children to the very elderly. The length of guest’s visits ranged from a one night stay to an entire summer. Meals were sumptuous and occupied a good part of each day. Everyone gathered in the dining room for breakfast, lunch, and dinner. Tea was served in the afternoon on the terrace or in the library, and occasionally at the tea house on the island. During the day guests enjoyed swimming, hiking, horseback riding, and trips around the lake, by boat or car, planned by Mrs. Knight. Gracious hospitality was extended at all times to guests. For example, guests' cars were always washed, serviced, and filled with gas shortly upon arrival, even if the cars were only used for short trips during a stay. 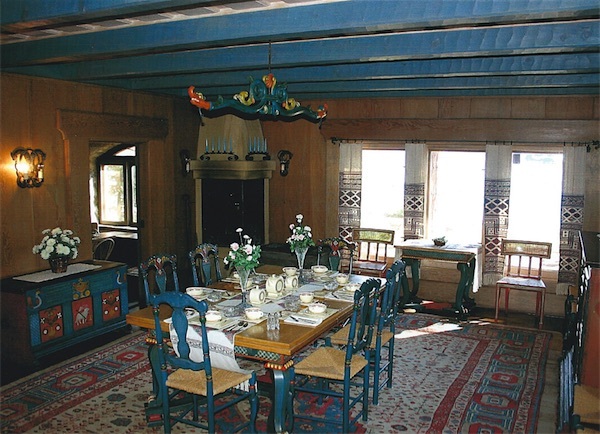 Vikingsholm provided a calm, quiet, relaxed way of life combined with an elegance that is rarely found today. This way of life seemed to compliment the serenity and exquisite beauty of the Emerald Bay setting. 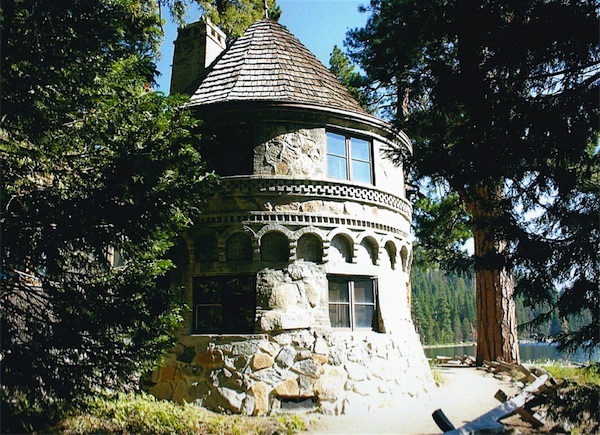 Now a National and California landmark, Vikingsholm is available for public tours during the summer months. 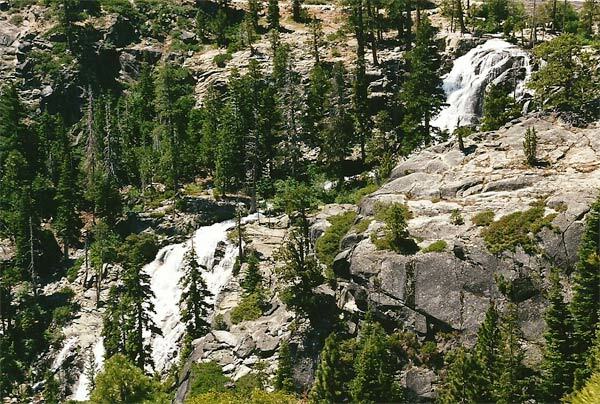 The 30 minute tours are conducted by the experienced and knowledgable guides of the Sierra State Parks Foundation. All proceeds go towards the restoration and education efforts for Vikingsholm. Purchase tickets at the Visitor Center just past Vikingsholm. Open daily during the tour season from 10am - 4pm. Please note: dogs are not allowed at Vikingsholm or on Vikingsholm trails. 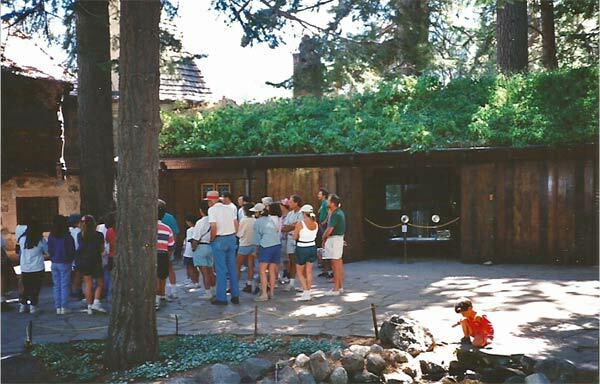 Private (over 10 persons) and school group tours can be arranged by calling the Sierra State Parks Foundation office at 530.583.9911. Access to Vikingsholm is via a STEEP one mile trail from the parking lot located off of Highway 89 or a less steep 1 1/2 mile trail that leaves from the Eagle Point Campground campfire center. Please make sure you are physically able to make the climb back up the hill. Public bus service to the parking lot is available from both North Shore and South Shore. There is no public boat service to Vikingsholm, but Vikingsholm can be reached by private boat. A dock is provided for loading and unloading only. Beaching of boats is allowed in the bay from dawn until dusk. Tour boats are available from South Shore and North Shore. These boats allow passengers to view Vikingsholm from the water but they do not dock in Emerald Bay. Call California State Parks at 530-525-7232 or email Emerald.BayADA@calparks.onmicrosoft.com to inquiry about eligibility and availability. 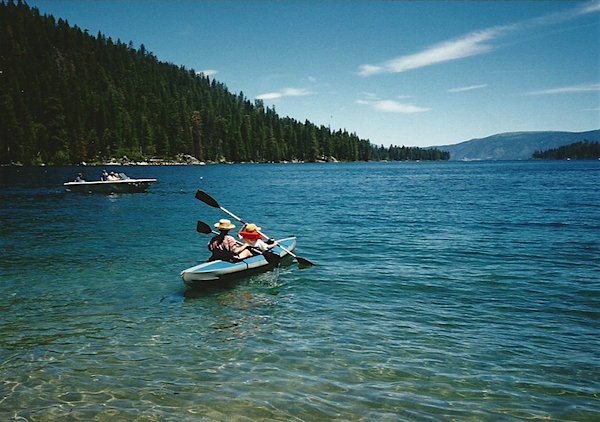 The Sierra State Parks Foundation hosts several fundraising events during the summer months where guests can drive into Emerald Bay. Visit our events page for more details.